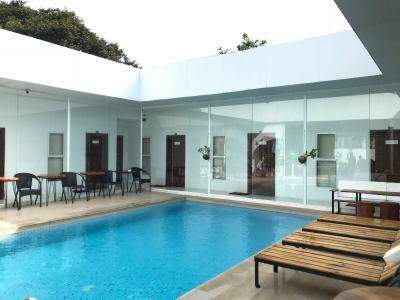 Lock in a great price for Onederz Sihanoukville – rated 8.9 by recent guests! The breakfast was good for me. The staff are very helpful for the arrangement airport transfer at the morning. Besides, they also respond the inquiry very well. The hostel location are nearby with the pier to the islands , you just need to walk around 10-15 minutes to the hostel. Overall everything about the property was good. I had a few meals and they were all great value. 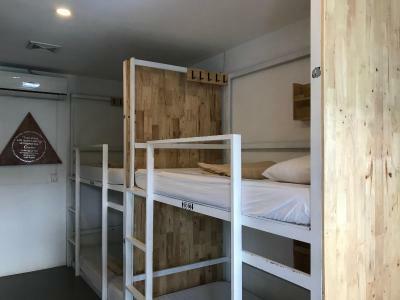 As for hostels go, this one is very organized and super clean. Friendly staff with a simple menu for breakfast, lunch, and juices. Bathrooms are perhaps the cleanest ones I've seen. The little pool was also a nice touch to cool off. Also facilitated a taxi to the airport. Big showers with everything you might need. There are also lockers in the rooms (comes with the room key, $2 deposit) and you can ask for a towel ($5 deposit). Great location and friendly staff. Nice comfortable hostel. The bathrooms were clean and well maintained. Each bed has a large locker assigned. The staff is very helpful. We booked through them our boat trip to the islands and our bus to Phnom Penh. The room is good. 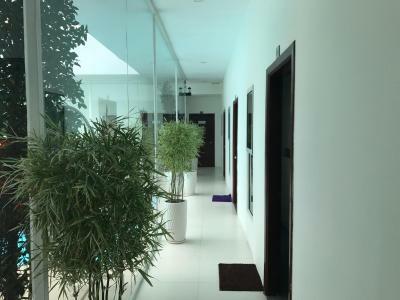 The shared environment is very beautiful and tidy, including the super clean and good smelling toilet and bathroom. The place was extremely clean, the bathroom facilities were on point, nice atmosphere, they provided locks for the lockers. Came here after staying at the Big Easy and this place was much better. Super clean, the bathrooms really surprised me (very clean) Room is also Staff is great! They helped me with the boat company to go to Koh Rong, as they had to pick me up to the hotel and took a bit to arrive. 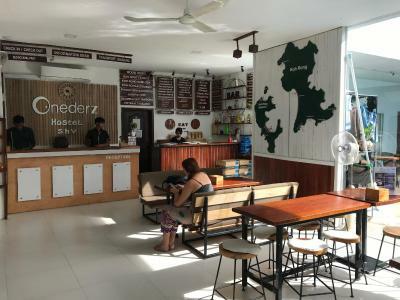 Onederz Sihanoukville This rating is a reflection of how the property compares to the industry standard when it comes to price, facilities and services available. It's based on a self-evaluation by the property. Use this rating to help choose your stay! One of our best sellers in Sihanoukville! One Stop Hostel Sihanoukville offers shared dormitories rooms with free WiFi. 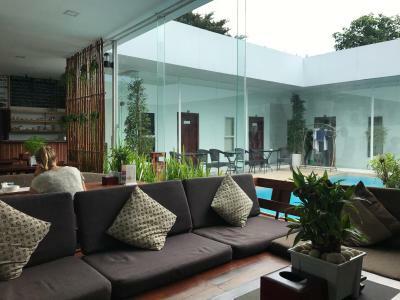 Featuring its own restaurant, the hostel has a shared lounge and shared kitchen for guests. A 24-hour front desk is available. 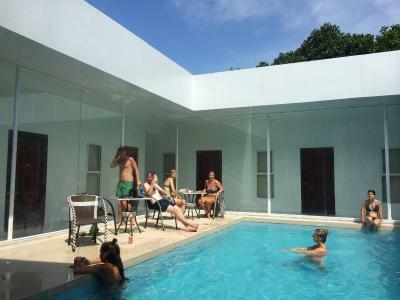 Located in Sihanoukville, the hostel is 1,950 feet from Serendipity Beach, 2,950 feet from Occheuteal Beach and 0.7 mi from Samudera Supermarket. Sihanoukville International Airport is 8.1 mi away. Each dormitory is air-conditioned and offers guests shared bathroom and shared toilet access. Lockers and linen are provided. At One Stop Hostel Sihanoukville, a garden, terrace, ticket service and tour desk are available. 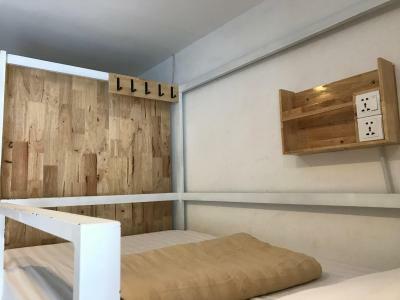 Mixed dormitory room is air-conditioned and can accommodate up to 6 guests. Rate is for 1 guest. A shared bathroom and shared toilet is available. 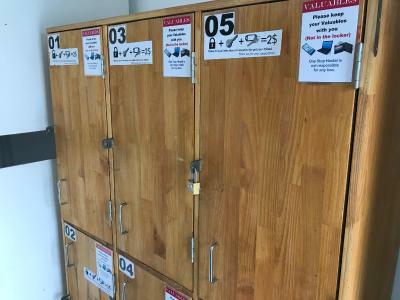 Lockers and linen are provided. 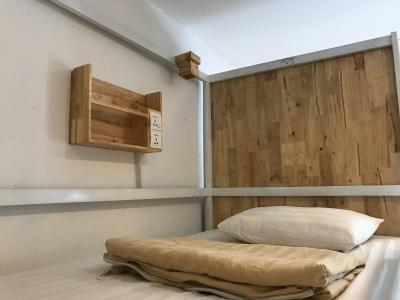 Mixed dormitory room is air-conditioned and can accommodate up to 8 guests. Rate is for 1 guest. A shared bathroom and shared toilet is available. Lockers and linen are provided. Female-only dormitory room is air-conditioned and can accommodate up to 8 guests. Rate is for 1 guest. A shared bathroom and shared toilet is available. Lockers and linen are provided. 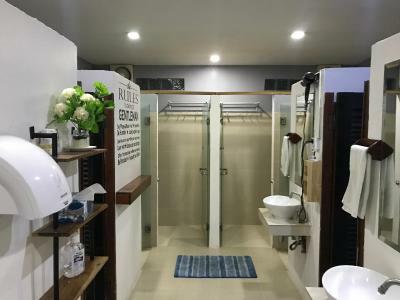 House Rules Onederz Sihanoukville takes special requests – add in the next step! The hostel was in a filthy area surrounded by dirt, dust and rubbish.. the bathrooms were cleaned in morning but soon began to smell.. Nothing! This place was awesome. Everything! 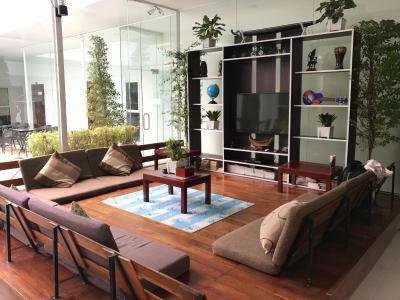 One of the best hostels I've ever stayed in. The bathroom was spectacular and reception were so friendly. It was in a central location and the aircon worked great. The beds were clean modern and comfortable and the pool was great. From the big Main Street you need to walk down a small, dirty and always wet alley to get to the hostel. Not very nice at night. Amazing hostel! It was super clean, they literally cleaned the rooms three times a day. The ac was working, the beds were comfortable with a curtain and there were no loud noises. The pool area was great for a swim or just to enjoy a fruit shake. They offer breakfast for 2-3$ which is perfectly fine. The staff is very friendly and helpful. The toilets were super clean and even offered toothbrush’s and pink toilet paper! I felt super comfortable and would book again. The service attitude of the staff is very poor, and they actually quarrel with the customer, and the waiter waiter will not live next time. The street where the hostel is located is not very nice and not easily accesible. 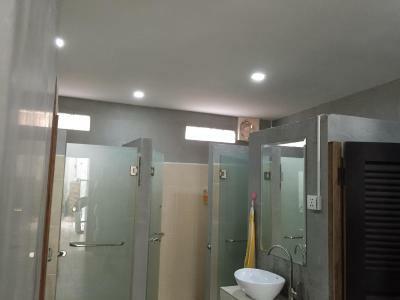 The place is very new, the toilets and showers are very clean and spacious. The beds are comfortable. The staff always willing to help you and smiling. The road to the hostel is dreadful and needs replacing. There is no social element at all to the hostel so being a lone traveller .. it was not ideal. Good location for the ferry, casino and markets. Clean rooms and beds. Beautiful showers and toilets facilities and having free tooth brushes, paste, moisturiser etc all made it extra special. Staff were really friendly! 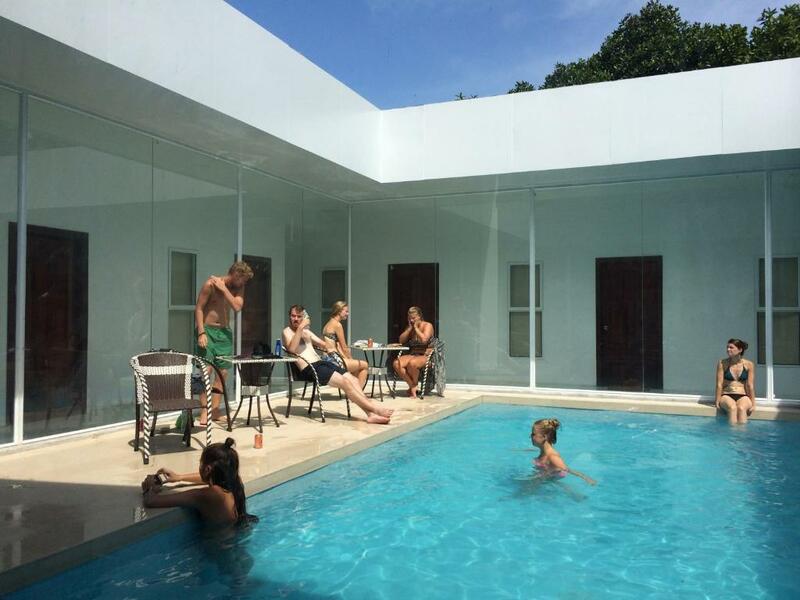 Modern hostel with clean facilities , lovely pool and nice friendly staff. Whole city is a huge construction.